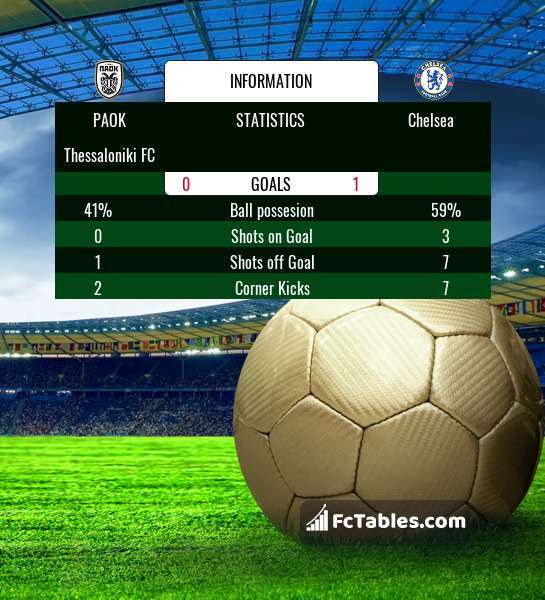 The match PAOK Thessaloniki FC-Chelsea Europa League will start today 16:55. Referee in the match will be . Team PAOK Thessaloniki FC is located in the middle of the table. (2 place). Last 5 games (league + cup) finished balance 0 points. Team Chelsea is located in the middle of the table. (3 place). Form team looks like this: In the last 5 matches (league + cup) gain 0 points.